Thanks to our energetic host Mary, the teacher and manager in Ruby Tuesday. This picture was taken from our famous attraction, the Ontario place which is located at Toronto's waterfront, south of Exhibition Place, between Dufferin Street and Strachan Avenue. It is accessible by car and easy to visit. 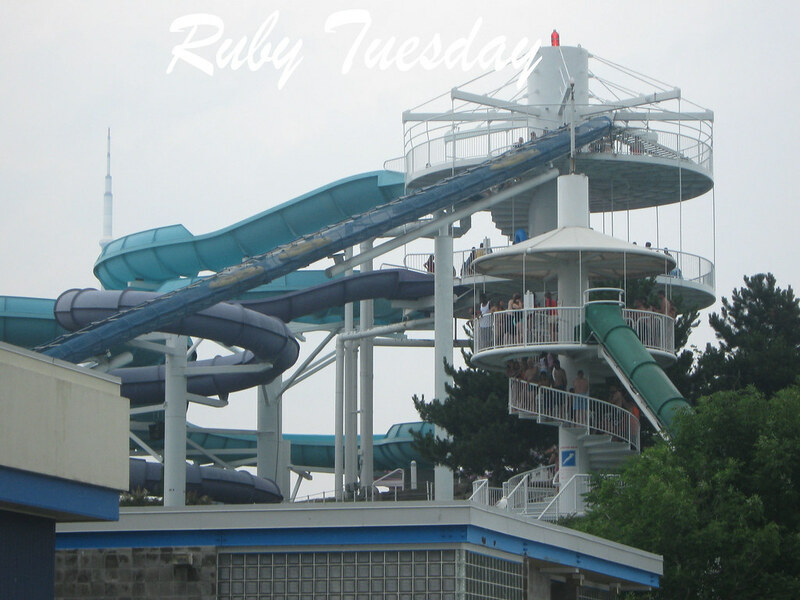 Most kids loves to stay and enjoy the rides here especially during summer and fall. You can see my red thing at the upper portion of the slide. You can see also 2 person wearing red t shirt in there. Beautiful picture. I love the structure of the place. I spotted the red at the top and the shirts too.